The sight of International Relations Minister Maite Nkoana-Mashabane fast asleep in Parliament during a noisy debate over President Jacob Zuma may have been funny, but according to a sleep expert, there was probably nothing she could do to stop it from happening. She was so deeply asleep in her pew that not even Economic Freedom Fighters MP, Mbuyiseni Ndlozi, booming that she was not paid to sleep in Parliament could rouse her from the soft nest of her pink shawl. "I'm worried that this minister that we pay so much Minister Maite [Nkoana-Mashabane] she is sleeping in Parliament, and with that position she is going to fall... She is still sleeping," said a bemused Ndlozi on Tuesday night. "Are you condoning people sleeping now?" he demanded when the deputy speaker, Lechesa Tsenoli, denied his point of order. "We pay you, don't sleep here, hey banna." Tourism Minister Derek Hanekom nudged her out of her slumber and she rose, sounding confused, while MPs chuckled. She left the National Assembly with fellow MP, Lindiwe Zulu, seemingly to confront the EFF, but returned later, wide awake. Polysomnographer, Jessica Fourie, said falling asleep like this was a common problem with globetrotters like Nkoana-Mashabane. And no amount of emergency wine gums or coffee would have stopped the complete slump. 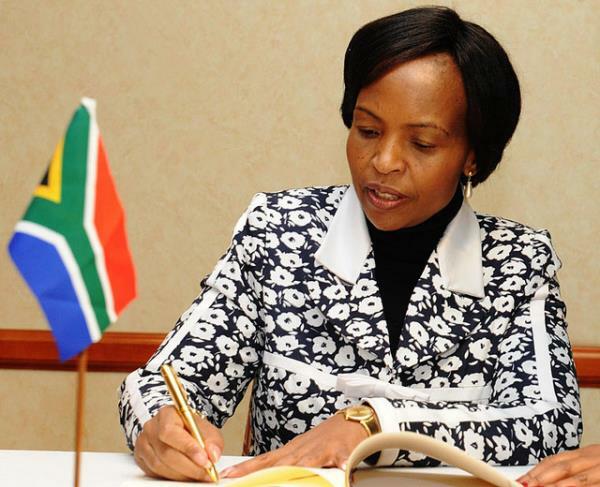 A quick glance at her recent schedule as South Africa's top representative on foreign affairs showed that she had criss-crossed the globe, finishing off with a nuclear conference in Washington involving a long haul flight. According to Fourie, the best thing the minister, and other global travellers, could do after a packed itinerary was to go home, draw the curtains, and just sleep. Fourie explained the body was primed to be awake when it is light and to sleep when it is dark. But when international travellers cross time zones, as Nkoana-Mashabane did in the days leading up to Tuesday's impeachment debate, their circadian rhythms – the built in switches that wake us up and help us sleep – are out of whack. "Their whole metabolism is messed up. They end up with sleep debt and the body just gets to a point where it can't cope anymore. The body just says, 'ok, you are going to sleep now'." Fourie explained that people who suffer from sleep apnoea – a condition where they stop breathing briefly during sleep – suffer the same ignominy. The brain wakes them up when they stop breathing so they never get a good night's deep sleep. As a result they end up falling asleep at all the wrong times. "Sometimes they literally fall asleep in front of me while talking," says Fourie, who treats referrals from doctors at their sleep disorder clinics. Shift workers face the same problem. When they have time to sleep it often doesn't come because their body clocks are also out of kilter, she explained. According to Fourie, to avoid the embarrassment, stay off the sweets and caffeine because the wakefulness will be short lived. The best thing is to take regular breaks and walk around, or simply, go home and pay off that sleep debt.